Thai language, including its various regional dialects, is a fascinating language with melodic sequences of sounds and words, and an exotic, ostensibly irritating alphabet and script, which have challenged your webmaster since his first ever visit to Thailand. Why? If you visit or live in a country like Thailand, where English is not the native language and in fact many people have a less than mediocre command of English, I think it’s simply essential to (at least) make an effort to learn a bit of the native tongue. That’s not just because speaking some Thai makes it obviously so much easier for Farangs (that’s Thai slang for “white Westerner”) to make contact with the locals and learn their culture, but also because, I must admit, dating and hooking up with Thai girls, especially “normal” girls that don’t work in the bars, isn’t just much more effortless but also more Fun. 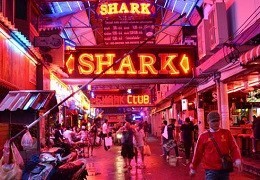 Bar girls in Pattaya all speak some English or at least the typical “bar girl” slang. But when it comes to dating Thai cuties from the countryside or university girls from Bangkok, who may have never been with a foreigner before and not know any English (or are too shy to use it), it surely helps break the ice if you can speak at least some basic Thai and say something sweet in their mother tongue. That’s a no-brainer. The “Thai language pages” on this website aim at giving those tourists and expats who are interested in learning a bit more of the language than just sawat-dee, choke dee or check bin, a basic introduction to the history, fundamental grammar, phonetics, and syntax of Thai language. We’ve also compiled an extensive extra page where we’ve listed some basic vocabulary and many useful phrases. Further down on this page, you will also find lots of useful info on where to study Thai in Pattaya, how to obtain an Education Visa (student visa) as well as links to many websites and blogs that help you learn Thai while sitting in front of your monitor screen and at no cost at all. No BS. Unless you have a knack for learning new languages, Thai is surely not the easiest language to learn there is on this planet. Especially the pronunciation and its confusing phonemic tones will be hard to master for beginners. Then again, it’s definitely not as hard as it seems at first glance to develop some basic Thai language skills. To start with: Your webmaster must admit that he’s neither a qualified teacher nor has he ever studied Thai “professionally”. Rather, I’ve picked up my most basic knowledge of Thai language from a number of textbooks and dictionaries, as well as everyday conversational practice with the locals (mostly bar girls), and only much later enrolled in a Thai language course at a local school. My Thai skills are still far from being “perfect”, yet good enough for everyday conversation with Thai people, and I can read and write Thai script reasonably well – not fluently enough to read Thai-language books or newspaper articles as easily as I wish I could, however reasonably enough to write a simple letter (email, text message), use a Thai keyboard on a computer or smartphone, decipher a menu in a restaurant or read a Thai-language street sign in the countryside. 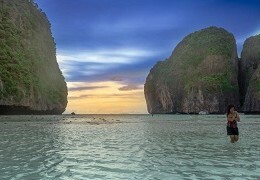 If you don’t like studying on your own or lack the necessary self-discipline for it, and prefer in-depth studies of Thai language, you’re certainly best off visiting one of the local language schools listed below and starting with an introductory Thai course, either group lessons or private tutoring, which is likely the most effective learning method for beginners. And even better, if you wish to stay in Thailand for a year or longer but otherwise don’t qualify for a long-term visa, it might be a perfect solution for you to enroll in a one-year Thai language course to be eligible to apply for a one-year non-immigrant ED visa (“student visa”). Equipped with this visa, you won’t have to leave the kingdom every now and then but can stay here continually for up to one year and learn Thai “professionally” and from scratch. Most of the language schools listed below offer the necessary one-year courses and also assist you with applying for a “student visa”. For more details, just scroll further down. If you’re ambitious enough, however, and have sufficient faith in your self-discipline, you might as well start with simple textbooks studies, preferably assisted by audio CDs or software programs. There are also many websites and blogs that help you learn some basic Thai while sitting in front of your monitor screen and at no cost at all. Just start with learning some basic vocabulary, common words and phrases, then go out and turn the results of your self-instructions into practice by simply trying to chat with the locals. Or even cooler, stay put in front of your monitor screen, meet a cute Thai girl online and chat her up in Thai. There’s nothing to lose and no reason to be shy; just remember the less than mediocre English most of the locals speak! So if you don’t fancy sitting in a classroom four days a week but still want to learn some basic Thai, the links we’ve compiled at the bottom of this page should quickly help you achieve this target even without attending a school. In order to get a basic idea of the structure of Thai, including some fundamental grammar and syntax, you may find our Introduction to Thai Language page quite helpful. Or to start with, we’ve also compiled an extra page where we’ve listed some basic Thai vocabulary and many useful phrases. Why not give it a go? Equipped with an ED visa you won’t have to leave Thailand every now and then but can stay in the country continually for a full year. On arrival, students will initially be permitted to stay for 90 days. With additional paperwork provided by the school, students will then be able to extend their stay every 90 days at the immigration office for the duration of the course. Visa extensions cost 1,900 Baht every 90 days. You can enjoy studying Thai and at the same time need not worry about making any visa runs. The Ministry of Education makes no distinction among students coming from different countries or continents. However, nationals of certain African, Asian and Middle Eastern countries need to apply for an education visa in their respective home countries. Students from 12 to 99-year-old qualify for an ED visa. Once you have enrolled in a one-year Thai course, your school will apply for a letter from the Ministry of Education requesting the one-year student visa for you, confirming that you are accepted to the program and indicating the date when you are scheduled to begin your studies. This official acceptance letter is the primary legal requirement for applying for a student visa. It usually takes between two and five weeks to wait for this letter. Without this letter from the education ministry, you won’t be able to obtain the desired visa. You will then have to travel to the nearest Thai embassy or consulate to apply for the visa. This means that if you should be in Thailand already, you will have to leave the country again to apply for the visa. Application cannot be proceeded locally. At the embassy, you will need to submit your acceptance letter along with your passport, passport copies, a fully-filled application form and passport-sized photographs. The visa fee for a single-entry Non-Immigrant ED visa is 2,000 Baht. An ED visa is valid for up to one year in total, i.e. provided you actually attend classes and study the required amount of hours per week. Once you have obtained your visa, you’ll need to come back to your school which will then apply for a second letter from the Education Ministry certifying your enrolment. This letter will allow you to make 90-day visa extensions at a local immigration bureau for the duration of the course. No visa runs are required; however, you’ll have to extend your visa every 90 days. 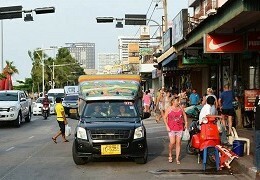 Visa extensions cost 1,900 Baht each time. Most Thai language schools around Pattaya will assist interested students in the visa application process, including people who are not in Thailand yet and have to apply for the visa in their home countries. Most local language schools will readily provide you with all necessary information and documentation required for a successful visa application via mail, email or phone. While this certainly all sounds too good to be true, it must be noted that an ED visa is no longer a simple long-stay option as hassle-free and cheap as it used to be. Unless you’re a seriously interested student who is ready to attend classes regularly, but simply seek to stay in Thailand for an extended period of time without doing visa runs etc., an ED visa might no longer be the perfect option for you. New stricter requirements for ED visa extensions have gone into effect on August 29, 2014 and turned things pretty much upside down. Until then, the same ED visa could be used to study the same subject, e.g. Thai language, for up to five years; the student did not have to leave Thailand but could simply extend his visa at the local immigration office every 90 days. Under the new rules, an ED visa is valid for a maximum of one year only, provided that the student actually attends classes and studies the required amount of hours per week; otherwise an extension may be rejected and the visa cancelled. After one year you will have to leave the country and apply for a new ED visa. In addition, Thai language students will now also have to attend classes 4 days a week, for 2 hours per class, in order to extend an ED visa, effectively doubling the hours of study that were previously requested by authorities. If students do not attend classes regularly and study the required amount of hours per week, their visa will not be extended. Needless to add that the new requirement for a total of eight hours of study per week has made the courses also more expensive. To make things even more complicated: When extending their ED visa for 90 days, students will initially be given only a 15-day extension. At the end of this “evaluation period” (during which an immigration officer may visit your school and check whether students actually attend classes or not) they must go back to their local immigration office and will be granted another 75-day extension. 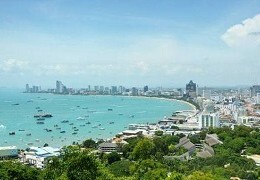 Since February 2015, the new extension rules as well as the requirement for eight hours of study per week, are also being enforced in Pattaya. Disclaimer: We do not warrant the accuracy of third-party information contained on this page. Keep in mind that many schools are obviously also still in the process of adapting their language programs to the new ED visa rules. B.E.C. language and culture school offers a fun and fascinating Thai cultural program with Thai language courses for foreigners, as well as courses on Thai cooking and fruit carving, Thai dance and music, traditional Thai massage, Thai martial arts and yoga. Email: becmanager@hotmail.com. German language school offering Thai and German courses. If you enroll in a full one-year course you can also apply for an ED visa. Easy ABC offers German, English and computer courses, as well as introductory Thai courses for tourists, Thai crash courses for beginners, and courses for advanced students (single or group Thai courses and external lessons at your home). Students who enroll in a 360-hour Thai course are eligible to apply for a one-year education visa. Easy ABC’s friendly and helpful multi-lingual staff will provide all the necessary documents for you to successfully apply for an ED visa. A 360-hour Thai language course costs 68,900 Baht in the first year. Excel Language Centre is a new Ministry of Education (MOE) approved language school near Big C in South Pattaya. The school offers Thai language courses for foreigners and English courses for Thai students. Their young, friendly and helpful service staff will answer any question you might have about learning Thai language or ED visa application. Foreign students who attend a full one-year Thai language course will be eligible to apply for a one-year ED visa. KLS offers Thai language courses at three different levels (elementary, intermediate, advanced) and in various packages at very competitive rates. KLS also helps students who register for at least 90 lessons of Thai language study with the application process for a non-immigrant ED Visa. LC Language School offers one-on-one tutoring and group lessons in a comfortable environment with friendly teachers and a fast and easy method that will have you reading, writing and speaking basic Thai in less than 60 hours. Students who register for the legally required amount of Thai language lessons will also be eligible to apply for an ED visa. P.L.C. offers various Thai language courses for foreigners in single, twin or group lessons, as well as lessons in English, Japanese, Chinese, Russian, French, German and Dutch language. Learn how to read, write and speak Thai with professional and experienced teachers. 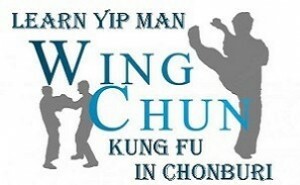 Prices for 20-hour Thai courses (group lessons) start at only 3,600 Thai Baht. Foreign students who study Thai for 120 hours or more will also be eligible to apply for an ED visa. At PRO Language School Pattaya, you can study Thai, English, Russian, German, Japanese, and a number of other languages, in spacious, comfortable and air-conditioned classrooms or at your own location. The professional instructors combine solid and adaptable methods of teaching with updated material and technology. Students who register for 200 lessons of study (20,000 Baht) will be eligible to apply for a six-month ED visa. In order to qualify for a one-year ED visa, students should register for a 400-lesson Thai course at a price of 29,000 Baht. PROgress Language & Computer School offers computer courses and specializes in Thai, Russian and English language courses. Students who register for the legally required amount of language lessons will also be eligible to apply for an ED visa. Thai, English, German and Japanese language courses for Thai and foreign learners. All teachers are professional, qualified and experienced native speakers. The Walen School of Thai has branches in Pattaya, Bangkok, Chiang Mai, Chiang Rai, Phuket and Koh Samui and offers affordable and extremely effective Thai language courses, which will have you reading, writing and speaking Thai sooner than you might expect. Students who register for 200 lessons of study (27,960 Baht) will be eligible to apply for a six-month ED visa. Students who enroll in a one-year Thai course (400 lessons at 49,960 Baht) can apply for a one-year ED visa. Special promotion rates are also available. 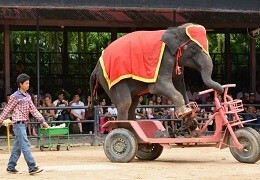 The Walen Method of teaching Thai is based on a natural learning process. In a question-answer format, the teacher will teach you many new words and how they are used in everyday language. As you answer questions, the teacher will constantly correct your pronunciation and tones, help you if you find answering difficult and revise it with you until you feel comfortable with the newly introduced work. Right from the beginning you will also learn how to read Thai. Below we’ve compiled a number of links to useful websites, blogs, free Thai language learning resources, online dictionaries and software that can help you learn some basic Thai while just sitting in front of your monitor screen. You’ll be surprised how much Thai you can pick up simply from the Internet, without attending a school or paying any fees. Learn Thai Podcast – Learn Thai quickly and easily with hundreds of video and audio lessons! Learn Thai Podcast (YouTube) – Free Thai language lessons and video tutorials to master the pronunciation, vocabulary and grammar of Thai. Thai-Language.com – Online resource for learning the Thai language with 14,554 audio clips, over 58,916 dictionary entries, 825 images and illustrations. Thai2English Dictionary – Thai2English enables anyone to easily read, understand and translate Thai text. Wikipedia: Thai Language – Basics of Thai phonology and grammar. 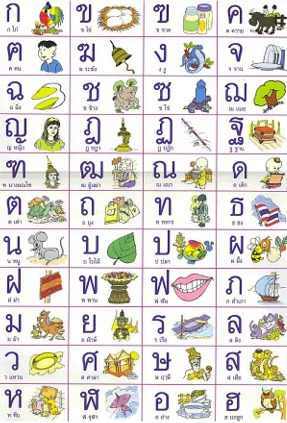 Free Thai Language Learning Resources – Lists free Thai language learning resources. Google Books: Thai Learning Resources – Thai resources on Google Books. Women Learning Thai (and some men too) – Useful blog to learn about the Thai language and culture. Learn-Thai.com – Desktop software application designed to help students learn to speak and read Thai. Thai Language Learning Software – Learn how to read, write and speak Thai online (free trial version). Learn to Read Thai Tutorials – For people who have zero knowledge of written Thai but wish to learn. The Pimsleur Thai courses, available on Audible.com, are good. Also good: ThaiPod101.com. Thanks for a great, informative website.